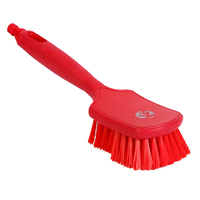 Although many years of hygiene brush manufacturing experience ensures excellent bristle retention, some may insist on that extra protection by using resin to set around each bristle clump. In addition the resin is intended to seal around the filaments in each bristle anchorage in view of eliminating the presence of harmful organisms. A churn brush with some big differences - rubber edged to avoid damage to tender surfaces, moulded quick coupler feature in handle to avoid adding metal couplers or hose tails, water flowing through the bristle clumps, cleansing them from trapped grit and dirt throughout the wash down process. There is not a waterfed hand brush to match these waterfed hand brushes. 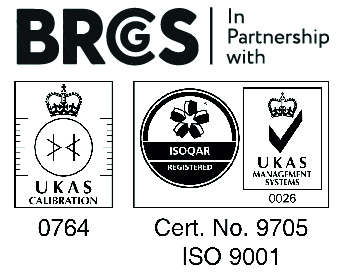 Moulded with metal and x-ray detectable polymer completing the requirements for detectability. These brushes are filled with single colour detectable stiff bristles. At this stage colour is limited to blue. 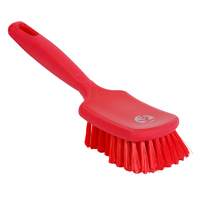 Extended bristle lengths around the leading edge of these colour coded hygiene churn brushes enables effective cleaning into difficult right angles and recesses. 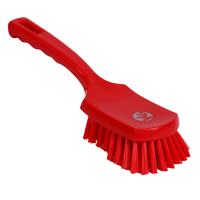 Based on the churn brush block this extra feature often proves essential in difficult angles to be cleaned. 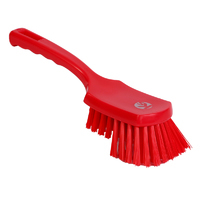 Professional churn brushes are available with soft/medium or medium/stiff bristle brushes and come in all 10 KsPrism food contact approved colours. They benefit from an ergonomic handle with a large hanging eye for maximum performance and ease of use. 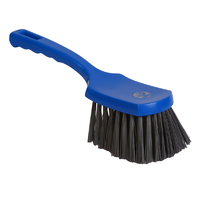 Soft/medium churn brushes with rubber edging for delicate and sensitive applications. Available in 5 colours.